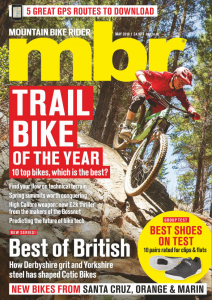 B’Twin is the in-house bike brand of French sports megastore Decathlon, so it’s not surprising that the Rockrider Big 8 is one of the best-specced bikes you can buy for £750. While it manages to compete with the Canyon Grand Canyon on price, you can also walk into a store and try one for size — of which there are only three, leaving shorter and taller riders out in the cold. 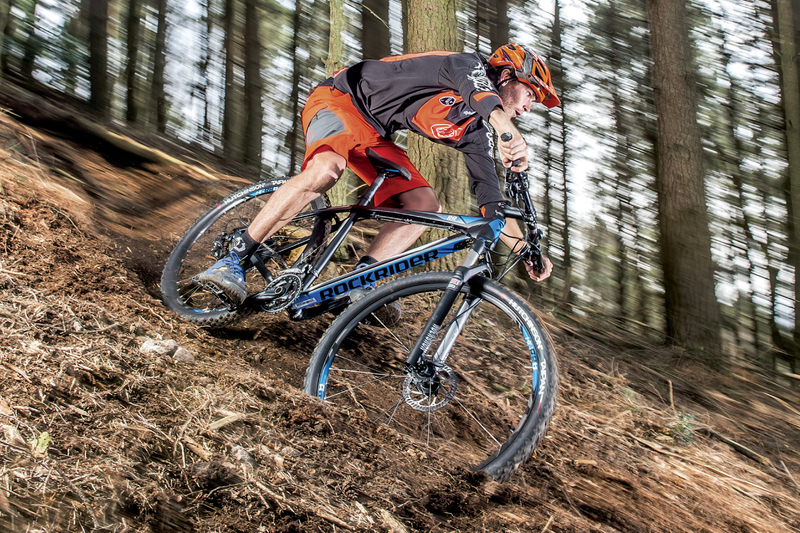 The Rockrider’s cross-country attitude is enhanced by the narrow 620mm handlebar. It’s fine and dandy on smooth trails, but it lacks the necessary leverage to control the front wheel on steep, rough descents. The real limiting factor, however, was the skinny Hutchinson Python tyres. Thanks to Decathlon’s £20 tyre upgrade offer we were able to fit wider Hutchinson Taipan tyres. With new tyres fitted, the B’Twin Rockrider felt like a different bike. Now we could tap into the truly capable RockShox XC32 air fork with its stiff 32mm legs. 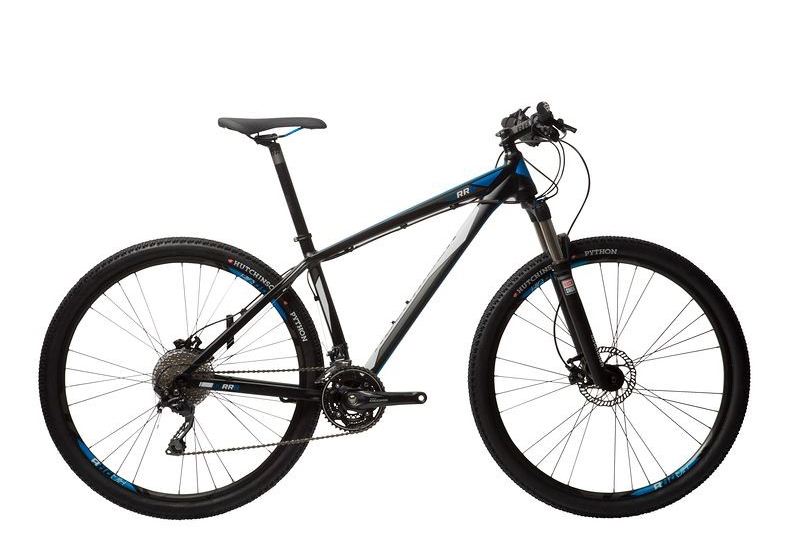 Combined with the tapered steerer, the B’Twin had a direct and responsive front end. The superb damping of the fork also allowed us to exploit the full 100mm of travel without losing control. 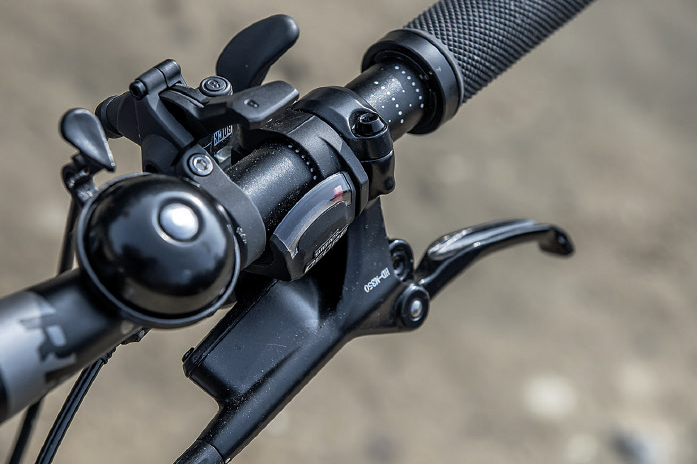 The Shimano Deore drivetrain, with its triple chainset, worked perfectly, but the Tektro Draco brakes felt wooden and the levers lacked the ergonomic profile of Shimano’s brakes. Also, the textured saddle produced an annoying rasping sound with our baggy shorts. Still, it’s one of the lightest bikes here, and with a wider handlebar and fatter tyres, B’twin could have taken top honours.